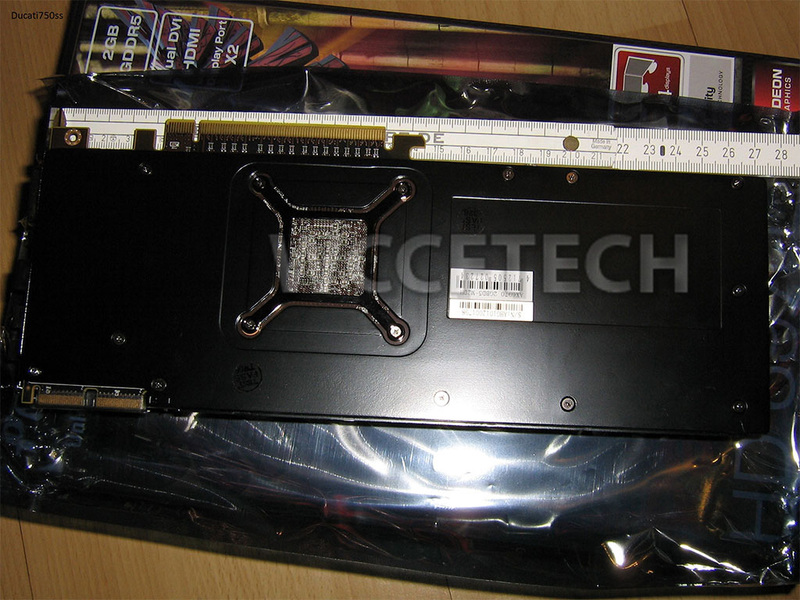 With the launch not far away, AMD partners are busy sending their Radeon HD 6970 samples to reviews. It is inevitable then, that some would actually post pictures of those on the web ahead of launch. 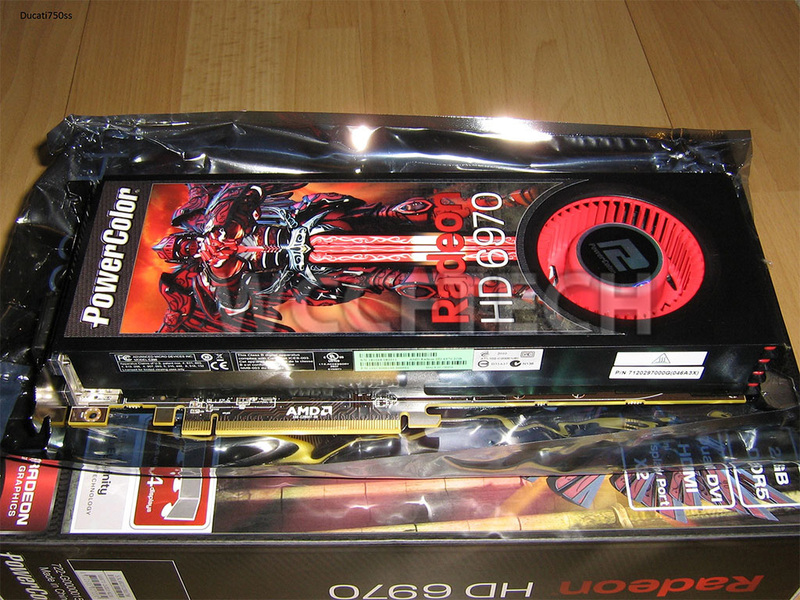 Some such pictures made it to site HardwareLuxx.de, which shows PowerColor Radeon HD 6970 in fresh out of its retail box. The card, and the box itself, reveal quite a bit about the HD 6970. To begin with, Radeon HD 6970 (and HD 6950), are high-end single GPU graphics cards based on AMD’s new “Cayman” high-end GPU. The HD 6970 is about as long as a Radeon HD 5870 (which it’s intended to replace), and retains product design carried forward from the HD 6800 series graphics cards. 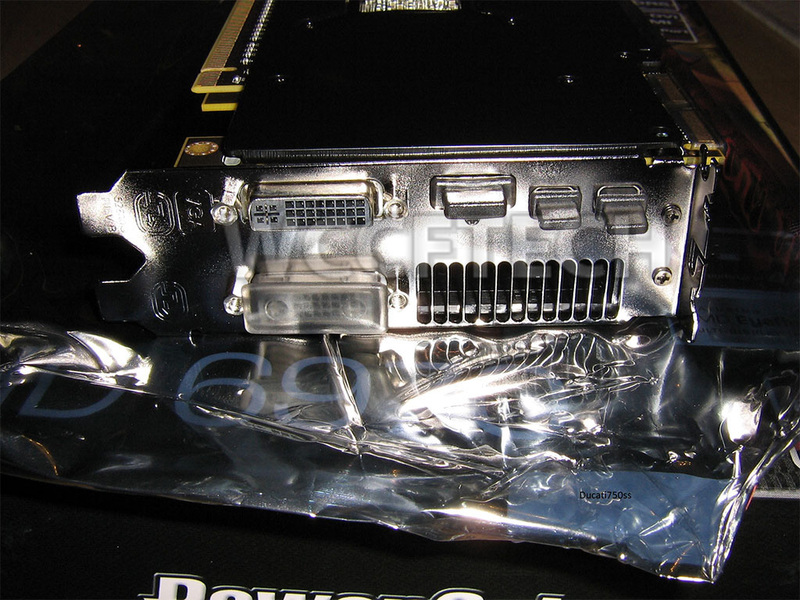 The HD 6970 from PowerColor has a 2 GB of GDDR5 memory. The top side of the card reveals the power connectors: one 8-pin, and a 6-pin PCI-E power; two CrossFire bridge fingers, and a tiny switch. It is rumored that this switch lets users select between two BIOS ROM chips present on the cards; one chip is programmable, and partners can store an overclocked profile, while the other is not programmable, and stores the AMD reference profile. This gives users a nice fallback in case they brick the card with a bad BIOS. 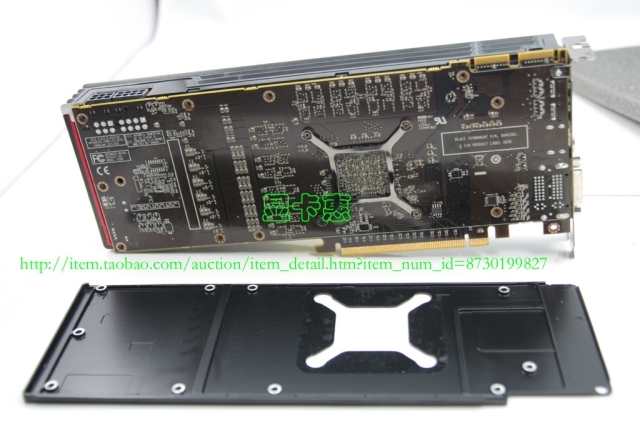 To begin with, the GPU indeed has a 256-bit wide memory interface, counting the memory chips on the obverse side, and looking at the size of the GPU package. The size of the die, and taken that Cayman is a 40 nm GPU, indicate that Cayman is not much bigger than Cypress, it should be about 400~500 million transistors higher compared to Cypress. Given the roughly 2500 million transistor count, the stream core count of 1536 seems more realistic. AMD is said to be using an architecturally superior VLIW4 stream processor design that increases performance per mm² die area. The board uses a high-grade 6+2+1+1 phase digital PWM voltage regulation design that draws power from 8+6 pin power connectors. The reverse side of the PCB has no memory chips. The rear panel sports an XFX-designed air exhaust vent.